The story of organization Future Generation Europe started with the idea that young people lack a clear overview of their possibilities and opportunities rolling on them from every side today. Clarity in these information can not only lead to success in professional career but also to personal satisfaction. Although the organization was not officially founded until 05.01.2015, work on FGE projects had already begun a little earlier. 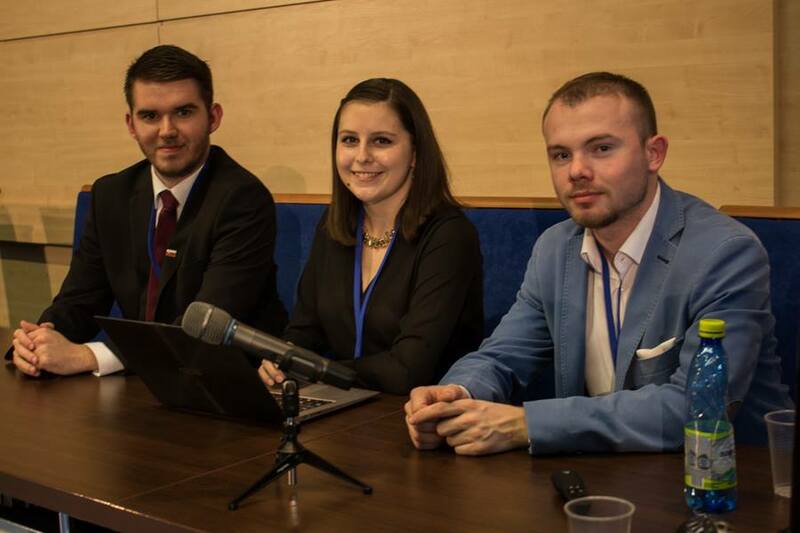 Initial work of the founders Matúš Jarolín, Tomáš Hajdušek and Katarína Jankovičová has therefore started already during their time in the international organization – Erasmus Student Network Slovak Republic (ESN SK) which was the time period of Summer 2014. Year 2014 was also the year when the first rounds of project Mini-Erasmus (November 2014) and project EuroSchool (Autumn 2014) were officialy launched. Since the target group of ESN are ERASMUS+ students and the target group of above-mentioned projects are secondary school students, a new brand was founded in January 2015 – Future Generation Europe. Despite its short existence, Future Generation Europe achieved several great achievements. FGE became the national winner of Charlemagne Youth Prize 2015. This prize is awarded by European Parliament for youth project initiatives and is awarded each year in Aachen, Germany. Later that same month, FGE has launched another project – Lead Up mentoring program which was oficially supported by Slovak president Mr. Andrej Kiska. Up until the end of the year 2015, FGE achieved to stabilize project Mini-Erasmus offering it to over 550 students from whole Slovakia at once. Aside that, project Lead Up managed to establish a co-operation with general partner ESET Foundation. In year 2016, FGE continued its work on the priority projects. Thanks to the support of the ESET Foundation, Lead Up created its first joint meetings for the talented mentees. Also, first reception of project Lead Up came to light which hosted many successful people from both public life and business. Project Mini-Erasmus confirmed its importance with 4th round organized in April 2016. With our delegation being sent to Strassbourg and Brussels, FG Europe launched its co-operation with European contacts with the aim of expanding beyond Slovak border. After mayor expansion of the team in August 2016, FGE activities were enlarged by new mentoring project – Lady Up. This 1 on 1 program focuses at mentoring of young girls who want to be successful in the realm of business. Together with the project Lead Up, they both started yet another continuation in Fall 2016. After the November round of Mini-Erasmus however, the organization decided to pursue a radical decision – terminate Spring round of Mini-Erasmus and fully dedicate to the Fall round. In September 2016, FGE won the Award National Career Advisory Prize 2016 for innovative approach in career advisory to high school students. The Award was awarded by Euroguidance Center – SAAIC. The decision to terminate Spring round of Mini-Erasmus opened for the organization new creative possibilities. Activities of the organization were extended by the project Wake Up which focuses on overcoming mental barriers preventing one to succeed. FGE also decided to chart new waters – preparation of the comeback project for foreign Slovaks – Back from Abroad, supported by the ESET Foundation. All these concepts were launched next to stabilized activities of project Lead Up and Lady Up. Huge success for Lady Up was the achievement of financial support by Accenture nadačný fond – Nadácia Pontis. In april 2017, the organization was awarded yet again. Project Mini-Erasmus was nominated to the final nomination of the Award – Volunteer of the Year 2016, in category Volunteer project of the Year. Despite the fact that the project did not manage to win, achieving final nomination was a huge success for FGE. The award is organized by the volunteer center CARDO. Up until the Summer 2017, FGE helped over 2.500 students from all over Slovakia. Activities of the organization are conducted by 30 volunteers – youth workers and university students. These people dedicate their time to help the future generation.